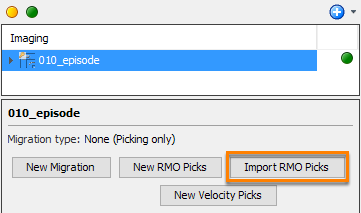 You can import RMO picks that have been previously saved into another session. Create a new episode (see Horizon-based RMO Picking). Alternatively, click the Add icon and select Load imaging products already in the Project. Select the episode that you want to add in the session from the project database and click Add to Session. In the Imaging tree, select the episode. Click Import RMO Picks. The Configure RMO Picking window will be displayed. Alternatively, click on the Add icon and select Import RMO. The Configure RMO Picking window will be displayed. 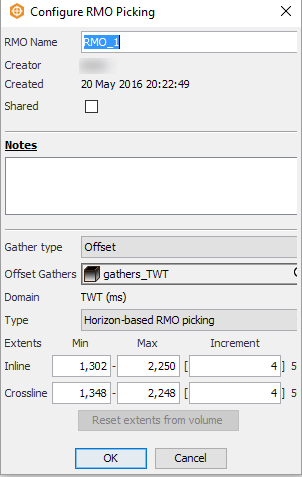 At Offset Gathers, select the gather volume to be used for the RMO picking. At Type, select the type of RMO picks you want to import. Note: If the type of RMO picks is Horizon-based RMO picking, you need to load the horizons used in the picking to the session prior to importing the RMO picks. Click OK. This will open the Load RMO Picks window. Select the RMO files to be imported and click Open. You can select multiple RMO files at the same time for loading. 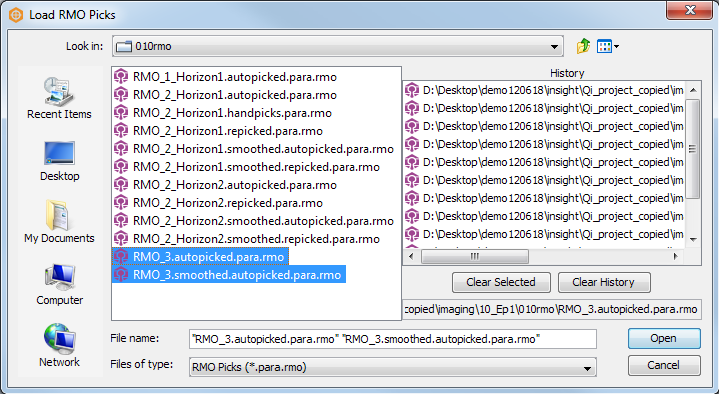 If you have computed trims in the horizon-based picks, you can also select and load the .trim RMO files.